The beauty of tone and shape and light in nature. 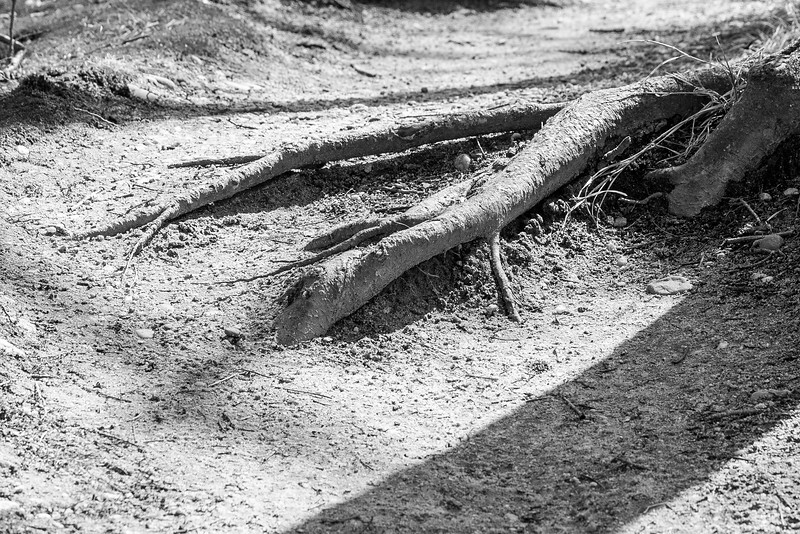 The interplay of this tree root and the path are so great. It's so wonderful to see how the people effect nature and also how the tree effects those who walk on the path by causing them to go around it and thereby shaping the path.